If you are someone who values dynamic interaction, relationship building, and direct access to your instructors, and learns best in a face-to-face learning environment, then our live instructor led PHR/SPHR classes are designed specifically for you! Offered in various formats and locations throughout Colorado, our classes provide a robust syllabus with more classroom time than other programs (40+ hours). This is essential to our lively hands-on “stick with the process!” approach to reviewing, learning, understanding, and applying the HRCI Body of Knowledge for your exam. We incorporate study tips, test-taking strategies, practice questions, in-class exercises and discussions, and even exam-specific final assessments developed exclusively by HR Cert Prep Pros to supplement your HRCP Study Materials. 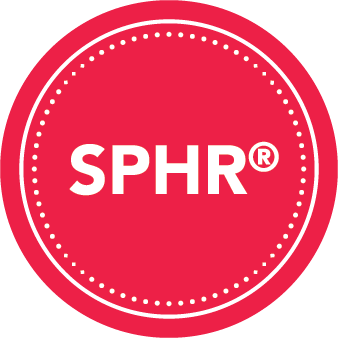 Join us for the most highly acclaimed PHR/SPHR prep course in Colorado…OR join from anywhere via Zoom! Quickly identify and master many of the most important and challenging topics. EARLY BIRD DISCOUNTS | save up to $100 when you register & pay at least 30 days in advance. Our 2019 courses are fully updated to reflect HRCI’s new PHR & SPHR Exam Content Outlines. Choose one of three packages to save up to $679 on application fees, exam fees, practice tests and more. Get inside test-taking tips with our exclusive methodology that will help you pass. With the PLATINUM PACKAGE, select two free add ons. Great! Tell us which event, person or other source. Once you register, we will send detailed information about the course and an invoice that you may pay by bank transfer or credit card. We also accept payment by check. By the end of the course, passing the PHR exam seemed almost effortless. Debi and Gayle’s course was anything but transactional, achieving far more than transferring HR knowledge for the purpose of an exam. As a result, I earned more than just a PHR certification: I became a more proficient HR practitioner and acquired two extraordinary new mentors. I’m deeply grateful, Debi and Gayle!